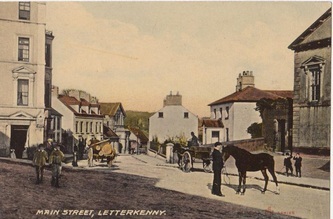 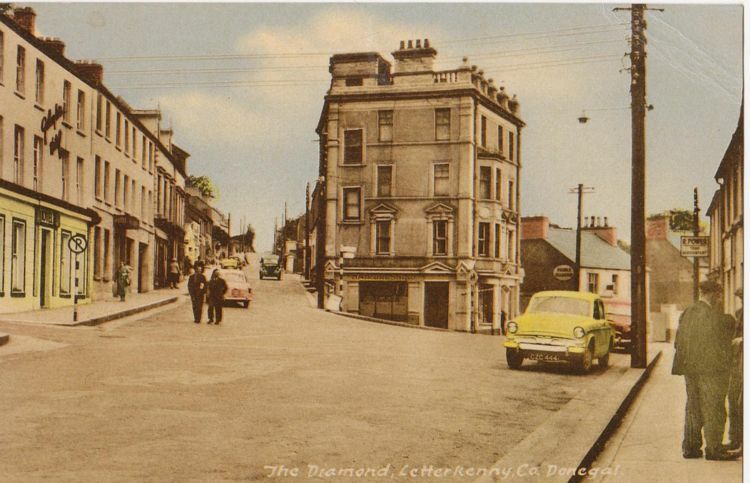 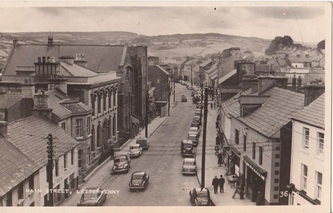 The old postcards of Letterkenny shown below seem to cover a period from probably the end of the 19th century up to the 1960s. A lot of the area of Port Road at one end to the Market Square at the other have remained fundamentally unchanged other than of course different business in shop units and houses that once were now being retail units but the shape of the thoroughfare is pretty much as it was. 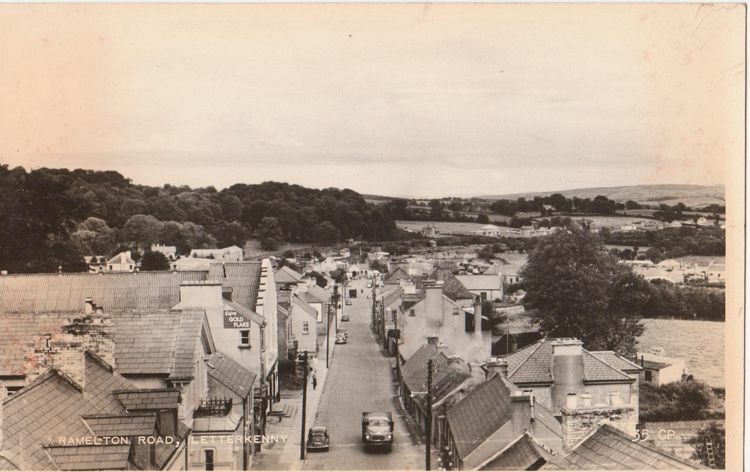 In a couple of the cards you can see the building known as Crossview House (pics 5 and 7 below) at the junction of the Port Road, Main Street and High Road (formerly Asylum Road in reference to the psychiatric hospital, St. Conal's, on that road). 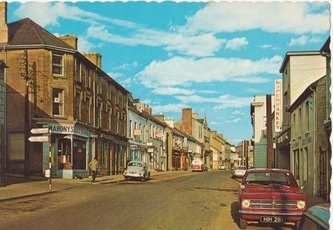 Although the original Crossview House is gone, the building that replaced it was designed as if not a replica, then very similar to the original and in fact won awards for it's design when it was built in the 1980s. A strange coincidence is that on one of the cards below it can be seen that there was a hairdresser operating from one of the ground floor units and today there is a barbers shop there. 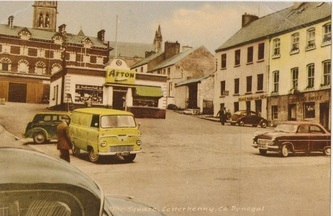 The Market Square whilst still having the Southwell houses (the red brick buildings) at the top has now since the mid eighties been pedestrianised other than a one way traffic feed down from the Cathedral and the middle of the Square has been developed into a leafy seating area centred with a sculpture by the well known artist Mauric Harron called 'the Hiring Fare' in reference to the days when a hiring fare was held in Letterkenny over a hundred years ago when rich farmers would come to the town to pick out children to work for the season on their farms. 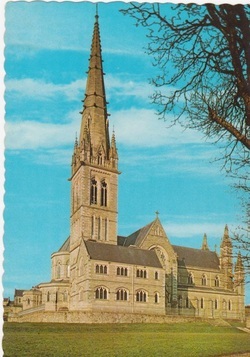 (We will write more of the hiring fares later). 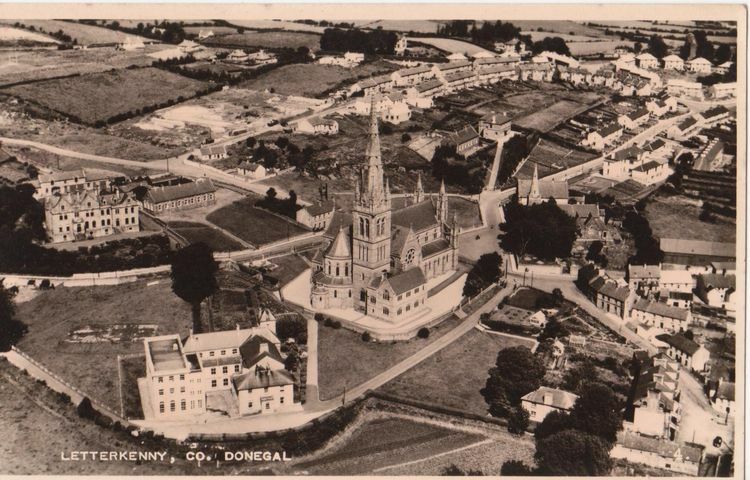 The cards below that shows the biggest difference other than the Square is the area around St. Eunan's Cathedral in the second photograph. It is very much more built up now in that area since the original photograph was taken which must be around the late 1940s as those from the town will recoginse 'the Burma' or Ard O'Donnell upper and lower as it is known. Just click on any of the postcards below to enlarge.